Carpenter Brut Interview - NewRetroWave - Stay Retro! | Live The 80's Dream! 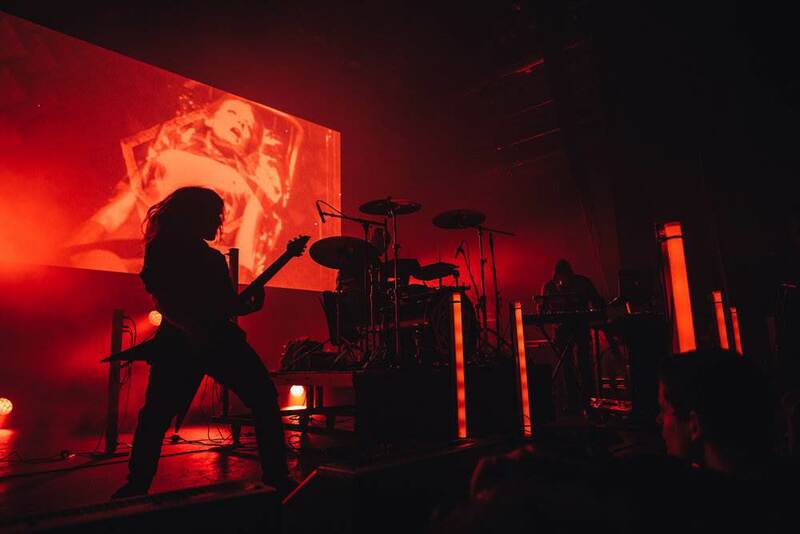 Since having proven their potential and durability, the question amongst North American Synthwave fans has not so much been whether or not the French figureheads would someday reach the US venues, but rather WHEN that time would come. 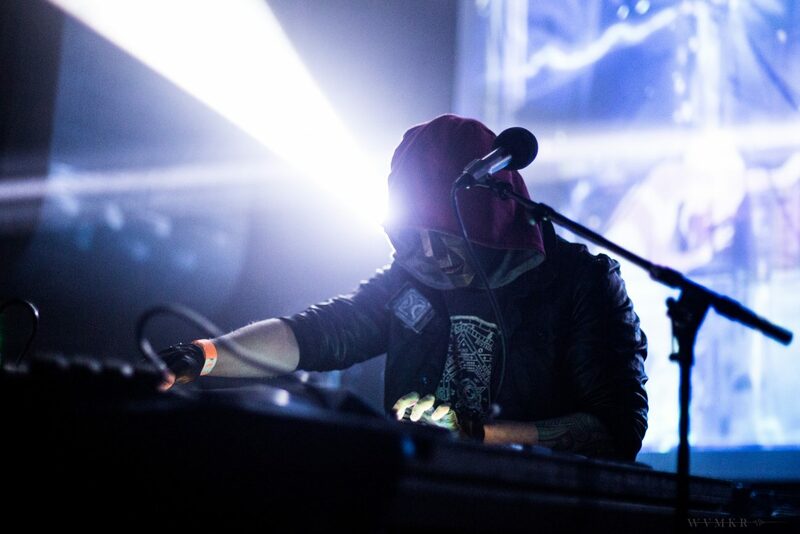 With the hype slowly calming down and the scene’s demographic transition finally reaching its final stages, the announcement of Perturbator’s first US tour seems to have given us the answer.The mortality rate amongst cheap copycat acts spared none but the most innovative and mature creative minds, mister Kent and Carpenter Brut standing out as the most obvious examples of the latter group. Sure enough, here we are less than a month away from Carpenter Brut’s first North American Tour. Given the difficulty with which European bookers have sometimes had when trying to contain audiences within a large enough venue, we best be bracing ourselves for what is heading for us. In anticipation for his upcoming tour as well as his newly announced Turbo Killer movie sequel project Blood Machines (alongside Seth Ickerman), we caught up with the mysterious magus of distortion for a quick interview. You state that you weren’t particularly into electronic music when you started Carpenter Brut, your musical background stemming more from the metal scene. What drove you to learn how to make electronic music rather than pick up, say, a guitar? I wanted to write music alone rather than being in a band. Electro music is perfect for that, especially when you’re not a good musician like me. I don’t know how to play guitar; it would have been a poor decision. Was there a form of rejection or a need for renewal with regards to what you were hearing in the metal scene? Modern metal bores me. I only listen to old stuff, Judas Priest, Maiden, Metallica etc. I do love the new Meshuggah album though, these guys rule. Is the “metal” tag something you embrace and aim to preserve or is it something you want to transcend? It kinds of bother me a little since I don’t play metal. It’d be like saying Trent Reznor plays EDM because he uses synthesisers. I’m very happy to play for metalheads or in metal festivals though, it remains my favorite scene, but I don’t play metal dammit haha! What about the “Synthwave” label? People like labeling everything: wine, chocolate, music… I can’t care less, just call it as you wish. Having been 5 years since the release of your first EP, how has your outlook on electronic music evolved? I bought some equipment that I couldn’t afford before: some hardware, analog synthesisers etc. Musically speaking, however, I still don’t listen to electro, except a bit of synthwave to check what’s going on. But other than that, I’m still clueless haha. Your music carries a hybrid imprint between “song” structures and club-format dance tracks. What is your main point of focus and approach when it comes to shaping a track? That’s a good summary. I think a good song must tell something while being entertaining. But people should remember that song. That’s why I try to write simple structures, not unlike pop codes, keeping some groove so that songs can be entertaining and allow people to dance and have fun. Given that your influences include 80s scores, do you work with a “narrative sense” to shape your songs? There is always a story, a script, which I use as a thread in the composition of my tracks. If you have nothing to tell, better be quiet then. 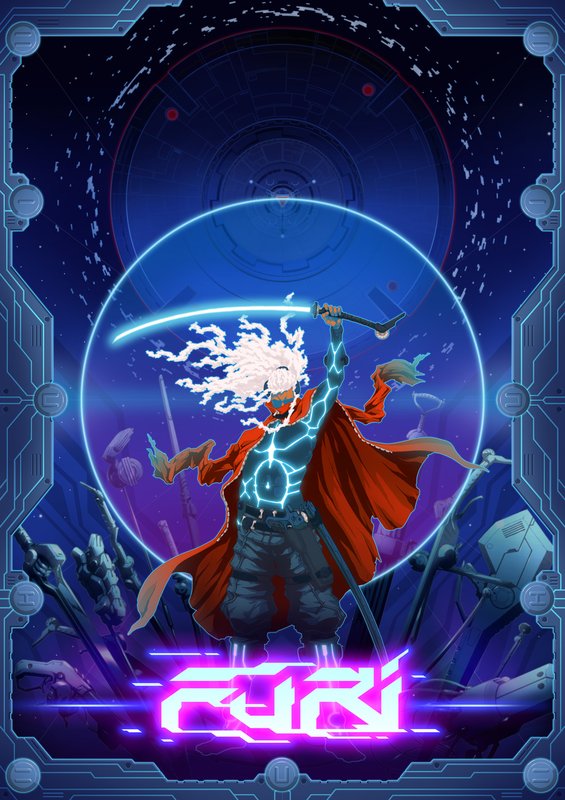 You’ve recently released new original material for the Furi game soundtrack. The three tracks namely seem fitted for the game’s narration rather than a mere jukebox feature. How was the writing process compared to your previous work? I have to adapt the music according to the scenes that the video game designers sent me. It’s a lot less free than to compose an album for yourself, there are codes and a timing to respect; you work on loops that can go on for several minutes if the player decides to stay in the same place, or has a hard time to kill the boss haha. It was a good experience but I’m not sure I’d do it again, I’m more interested in movies soundtracks. This year you will be working on the score to the Turbo Killer space opera film sequel, Blood Machines, directed once again by Seth Ickerman. How did you and the guys end up talking about doing this project? They wanted to make a movie for a long time with me composing the music way before the Turbo Killer’s video. After the success of Turbo Killer’s video clip (which they directed) and all the comments on YouTube asking for a sequel, they had the idea to make a movie around Turbo Killer’s universe. The movie will also be a video for my next album. We have come full circle. Given that this will be a collaborative process, have you outlined the way you and the Ickerman team will be working together? Nope. One doesn’t change a team that plays well together. You’ve launched your own record label No Quarter Prod, which only includes your own project so far. What are your future plans for the label? For now, No Quarter prod acts as my exclusive producer so no future plans scheduled yet in terms of having new artists. There’s enough work already, just dealing with the merch is crazy. For the moment, there’s no way we could manage another artist. Next month marks the beginning of your American live debut across the US and Canada. What do you look most forward to on your upcoming trip ? Nothing in particular. Hope everything will be ok and that people will have a good time. Any particular locations you look forward to seeing? Montreal. I love this city. To finish off with my trademark interview closer: could you give us an album, movie and book recommendation? Police Academy II, Song from The Big Chairs, 1984. A big thank you goes out to Carpenter Brut and Monica for helping us set up this interview!